A recent Financial Services Tribunal decision showcases the Tribunal’s powers in terms of section 234 of the FSRA. “Section 234(1)(a) of the FSRA 4 circumscribes the powers of the Tribunal with respect to the decisions of the Authority. The Tribunal can either set aside the decision and remit the matter back to the Authority for further consideration or dismiss the application. There is no room for the Tribunal to substitute the Authority’s decision for its own. On 19 September 2018 the FSCA, acting in terms of section 9 of FAIS Act, withdrew the licence of Victor Masango authorising him to act as a financial services provider. On 4 October 2018, Masango filed an application for reconsideration of the decision to the Financial Services Tribunal and sought his reinstatement as an authorised financial services provider. Masango’s licence to act as an FSP was issued on 3 September 2007. According to his licence he was entitled to provide financial advisory and intermediary services in respect of Long-term insurance: Category A,B, C as well as in various other categories of Short-term Insurance including Health service benefits provided by medical aid schemes. Section 19 of the FAIS Act states that financial statements must be submitted by all Authorised Financial Service Providers to the registrar, not later than four months after the end of the provider’s financial year end. However, The FSCA submitted that Masango failed to comply with this requirement in respect of two consecutive financial periods; namely 2015/16 and 2016/17 financial years which were due at the latest on 30 June 2016 and 30 June 2017 respectively. The FSCA further submitted that he did not maintain a suitable guarantee or professional indemnity cover prescribed in terms of section 13 of the FAIS Act read with the General Code of Conduct for Authorised FSPs and Board Notice 123 of 2009. As a result of the above the FSCA withdrew Masango’s licence. He therefore requested the Tribunal to reinstate his licence. Was the FSCA’s decision to withdraw the licence justified? · Section 234 of the FSRA grants the FSCA exclusive rights to decide whether or not to reinstate the licence. As such the Tribunal has no mandate to reinstate Masango’s licence. · In terms of the FAIS Act Masango was also required to submit a compliance report by not later than 28 February of each year. Besides numerous communications to Masango as well as extensions granted, no reply was received from Masango. · As a result the Registrar eventually withdrew the licence on 19 September 2018. In Masango’s statement he refers to personal circumstances that led to contraventions which form part of the basis of the licence withdrawal. It also seems if Masango consciously decided not to comply with statutory requirements because he had not paid his licence fees. 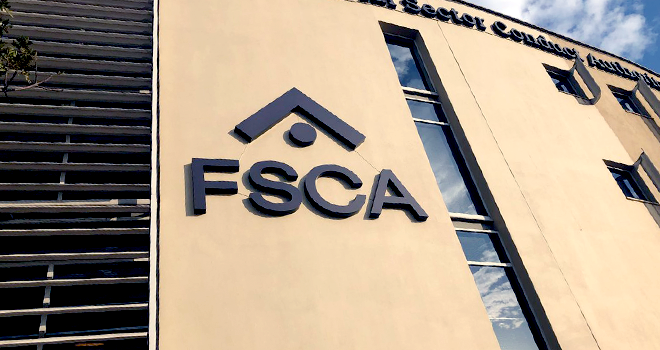 Overall, evidence showed that there was nothing preventing Masango from contacting the FSCA over a period of several months to explain his failure to comply with his statutory obligations. In view of the above the FSCA’s decision to withdraw the licence was therefore not only correct but also well justified in the circumstances. Click here to download the Financial Services Tribunal case.